Premium 0.0% Dutch Pilsner. Brewed in Holland. Only 24 calories per 100ml. 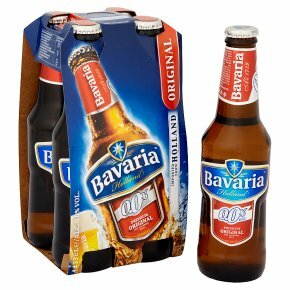 Bavaria 0.0% Original has a distinct beer character: with a slightly hop-like and malt aroma, a full body, and a grainy and sweet flavour from the sugars in the barley Malt that beautifully balance the bitter tones of the beer. To make ours alcohol-free, we use a patented technique that guarantees no alcohol is ever formed during the brewing process, making Bavaria 0.0% Original a true alcohol-free beer.